It looks like the tables have turned once again on the whole “what the hell does the 2015 Mustang weigh?” mystery–according to two highly reputable sources, the 2015 Mustang will actually weight MORE than the 2014 Mustang. That’s right, and a whole refrigerator more than the S197 at that. Both Patrick George of Jalopnik and Zach Bowman of Road & Track (R&T) are reporting that “inside sources” have confirmed the 2015 S550 Mustang will weigh more than the current 5th generation Mustang. The R&T article goes on to say the 2015 Mustang’s weight ” will top out at roughly 250 lbs heavier than the 2014 car ” for the top trim level V8 while the V6 and EcoBoost models are to gain 50-70 lbs over the 2014 6 cylinder. 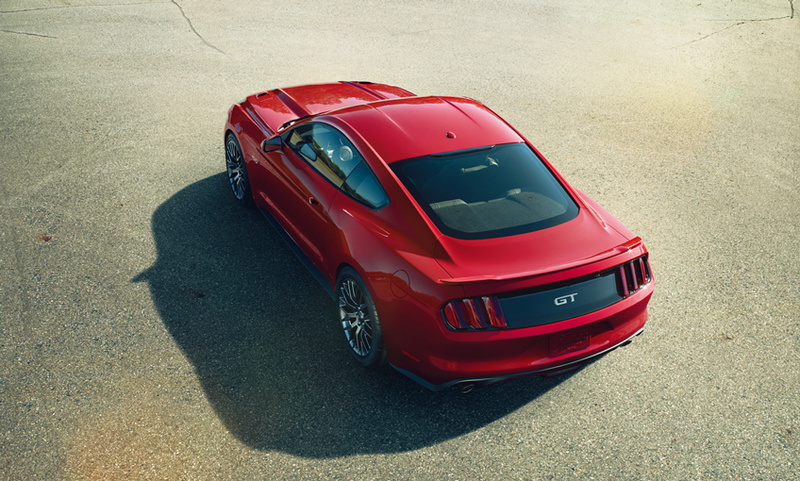 A typical base model GT could gain 170 lbs. Jalopnik basically confirmed this saying a 2015 Mustang V6 will weigh as much as the current GT. With virtually every part on the 2015 Mustang being new, the replacement of the solid rear axle with and IRS and the tougher roof-crush standards the new Mustang is set to meet, apparently the weight began to add up. 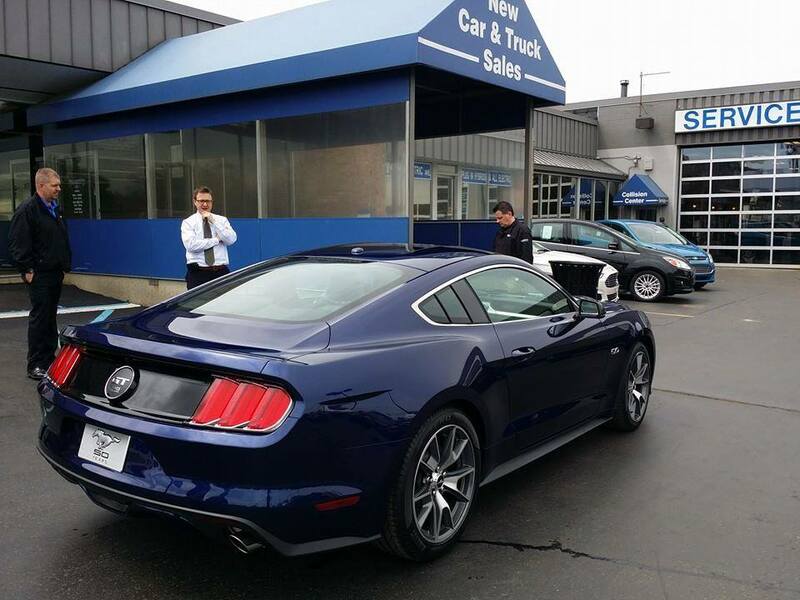 There’s no sugar coating this one–many Mustang fans aren’t happy to hear this. The earlier rumors stating the Mustang might lose as much as 300lbs instead of gaining 250 pounds had many potential buyers excited. However, those rumors seemingly did not pan out for the S550’s chassis and unless they were referring to the next generation GT500 replacement, it looks like they got it completely wrong. A thread over a Mustang6G–which goes on for 60 pages and counting–is filled with many unhappy enthusiasts. When you go from expecting a loss of ~300lbs that would bring the Mustang’s weight down somewhere around SN95 levels to an increase of close to that amount, the results aren’t going to be pleasant. Still, it’s a tough pill to swallow and could put a damper on pre-orders, at least until Ford announces power, fuel economy and performance numbers. I don’t understand why this is such a big deal or a surprise. An independent rear suspension does add quite a bit of weight, but adding weight low and to the rear of a front engine vehicle is typically not a bad thing when it comes to handling characteristics, and I think the IRS will be a nice addition to street driven Mustangs; which is what most of them are. I’m sure swapping the IRS for a solid axle won’t be a huge problem if someone wanted to build a dedicated live axle track car either. I do not understand why thy got wrong? This source here posting about weight gain may have it wrong. I do not believe any of it until I see some hard numbers. We have a local scrap yard which has scales that are surprisingly accurate. With in 1 or 2 Percent of actual real time weight. I do think it is to early to pass judgment on the horsepower and actual weight of the new Mustang. For sure a gain with the independent rear end. But not even close to said 300 lb.’s mandatory weight gain for you and myself safety is a bliss and can’t be over looked. Computer structural advancements are starting to show how to support a frame without being heavy, But by the way the pieces are formed together to be more supportive with half the weight of the heavy steel used to build a car frame. This type frame could be thin aluminum but stronger than steel by way of supports that are placed to do the ultimate to hold the structure together. That and the least amount of welds and bolt together areas will have a crazy difference in strength. 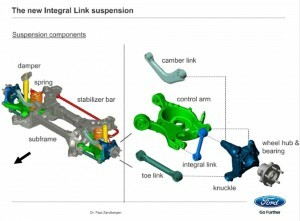 And will add over 50% more rigid than much heaver and bulky steel. Especially if the mold is large enough to form a forged frame. That and the use of thinner plastic and carbon fiber and not one nut or bolt that is not necessary to hold a fixture together safely. Saw a 2015 Mustang on the street here in Nashville, Tennessee yesterday – bright yellow. Now that the car is out, somebody has to go weigh this thing! I doubt this is good information. According to the last statement from Ford, they didn’t even know what the production weight would be yet. They have to work with their suppliers to get production versions of every part before that can be determined. They probably have a ball park number though. I’m going to go ahead and assume that their silence on this is similar to their Nurburgring time with the GT500. People speculated that it meant the time was crap. When the information was later leaked, it turns out it was actually quicker than the ZL1. It’s a classic poker face move. At least, that’s what I’m hoping for the 2015 ‘Stang. Not buying it. If either of those two don’t have a production car to put on a scale then it’s pure speculation and sensationalism to increase readership. When do you think we’ll be hearing a statement from Ford about the mpg and performance numbers? It’s kind of early for enthusiasts to be upset when measurements haven’t been released. Perhaps the blow won’t be so rough? Many companies release that info shortly after revealing the car. I think most people are upset because Ford has released a ton of details and have numbers they could put out now that would be close, if not exactly what we’ll see when deliveries begin, but they’re withholding it for one reason or another. Weight specs have leaked today–80-100 lbs gained for the GT, less for EB & V6.